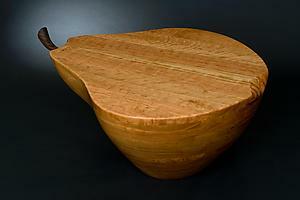 Ashbee Design: Top End Pear • Furniture? Although I like to blog about the things one can afford, I occasionally share beautiful things that one just can't afford but like to look at and appreciate. Today's pear post falls into that category. Of course it is from Artful Home. 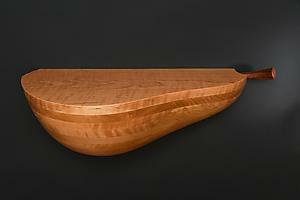 The following two pieces of furntiture are created with stacked and laminated wood by artist Mark Levin. They include cherry, curly cherry and walnut. Beautiful woodworking combined with a touch of whimsey in the design.